That was eastbound US 64 (which continued to the left on Maine), and southbound US 81 (which continued to the right). 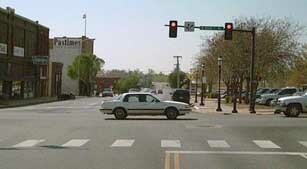 Also to the right was the east beginning of US 164. 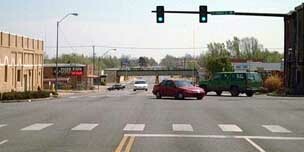 On its west end, US 164 connected with US 66 (photos and more info on the Amarillo page). 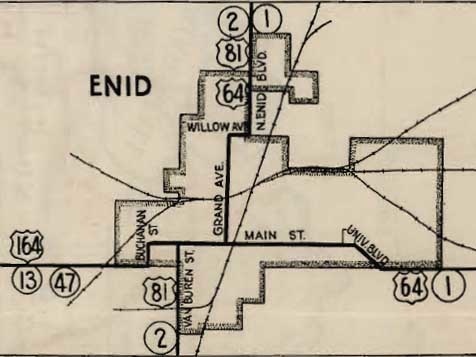 US 164 was replaced after only two years, when US 60 was extended westward along its route. Its number was recycled in the 1960s, when US 164 [ii] was commissioned. last updated Oct. 14, 2016.